The New Harbour House is a sight to behold. Gutted and renovated, the 451 lavishly appointed residences, redesigned stunning lobby, and enticing party room with bar, serving pantry, billiards, and TV lounge, all reflect the classic elegance of this landmark property. Located on the northern edge of Miami Beach, where the Intracoastal flows into the Atlantic Ocean, the Harbour House boasts magnificent views. Ideally situated, the Harbour House is just a short stroll from the upscale Bal Harbour Shops, home to many of the worlds most famous designer stores and upscale restaurants, and adjacent to the new Regent Bal Harbour. The luxurious Harbour House lifestyle includes a lavish resort style pool deck with beach beds and H20 bar, staffed fitness center and spa, private viewing movie theater, lounge area, and convenient store. The Haulover Inlet location offers outstanding views and a beach boardwalk to stroll along. Residences at the newly renovated Harbour House are complete with gorgeous European kitchens with stainless appliances, gas ranges, and granite countertops, washer and dryer, floor to ceiling windows, tinted sliding glass doors, and the latest in condo technology. Great investment opportunity or to live-in! Beautiful studio with amazing ocean view at the famous Harbour House.Major renovations and upgrades has been completed in all common areas with glamorous finishes! Special Assessment are already paid in full by seller.Oceanfront Building offers high end amenities:Resort Style pool & beach services,Lounge & pool side bar,business center,Spa & state of the art gym, market/caf, movie theater,24 hour Concierge & Valet services.Walk to Bal Harbour Shops.Tenant occupied until 02/2019 paying $1,650.00 a month. Seller financing available with 30 % down at 7 7/8 % for 2 years term, interest only and total loan payback in 24 months.Best deal on this building!Come and see the New Harbour House. Harbour House Condominium in Bal Harbour, FL. Newly Renovated , The most exclusive address in Miami Beach. Private beach, (next to Haul-over Inlet) H.H. Condo Association supplied chairs & umbrellas & food & drink service on the beach. Outside Bar & Restaurant. Huge pool, Jacuzzi, class A workout facility, steam room, sauna, massage services. Inside Restaurant / deli & convenience store, conference room, pool table & recreation room. Movie theater with weekly movies. The Condo management is outstanding and very efficient. The Association has high reserves and the condo runs well. Notice for all showings and inspections: audio and video recording in effect. STUNNING OCEAN AND SUNSET VIEWS FROM THIS ONE BED 1 1/2 BATHS IN PRESTIGIOUS BAL HARBOUR. BEST ONE BED LINE IN THE COMPLEX IN THE HIGHEST FLOOR. WALK TO RESTAURANTS, HOUSES OF WORSHIP, BAL HARBOUR SHOPS AND MORE. SPECIAL ASSESSMENT $239 PER MONTH. BEAUTIFUL 1 BEDROOM 1.5 BATHROOM, UNIT IN THE PENTHOUSE OCEANFRONT CONDO AND CITY OF BAL HARBOUR, WINDOW TREATMENT, TOP OF THE LINE APPLIANCES WITH WASHER AND DRYER IN THE UNIT, BRAND NEW LAMINATED WOOD FLOOR BEING INSTALLED NOW, AND MARBLE FLOORING, GREAT AMENITIES FOR THE WHOLE FAMILY TO ENJOY SUCH AS A SWIMMING POOL, GYM, CLUBROOM WITH GAMES AND MORE! THE UNIT IS BIGGER THAN SIMILAR UNITS IN THE BUILDING,IT IS 100 SQF MORE. FOR SHOWINGS SEE BROKERS REMARKS ! 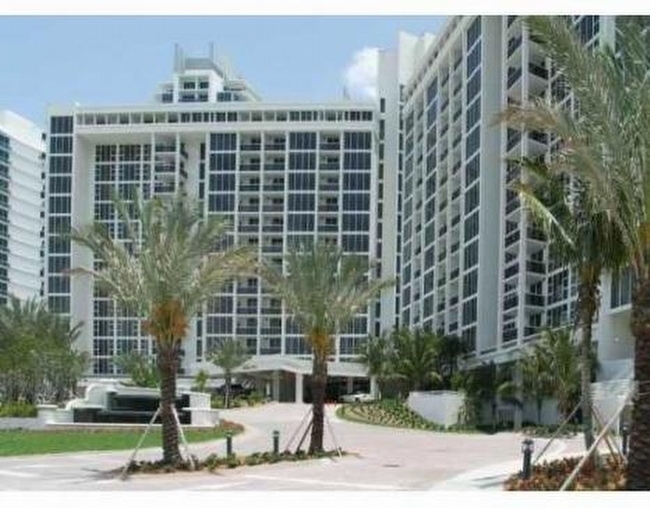 Luxurious, very bright 1 bed/1.5 bath condo located in an oceanfront 5 star luxury building in Bal Harbour. Marble floors, modern kitchen/bathrooms, open balcony with spectacular unobstructed views of the intracoastal/bay/Bal Harbour & floor to ceiling hurricane windows so you can enjoy the view from inside the living area as well. Unit offered turn-key furnished with 2 assigned parking spaces included. Building features full service spa, state of the art fitness center, cafe/restaurant, 24 hour security, valet parking, beautiful pool, direct beach access offering beach service for residents & more. Building rental policy allows 6 month rentals which makes this a great primary residence, investment property or vacation condo enabling the owner to rent for half of the year to offset costs. Seller motivated / Breathtaking views from this oceanfront apartment and steps away from the beach. Fully remodeled kitchen, bathrooms and closets. Located in the heart of Bal Harbour, ocean access, dining and the shops at Bal Harbour as well as walking distance to house of worship. This bright corner unit apartment has floor to ceiling windows throughout and gorgeous views from every room. It features 2 Bedrooms + 2 Bathrooms and a Half Bath. Open kitchen, walking pantry, dual sinks and amazing sunsets.Building amenities includes attended beach, full gym and spa, valet services, movie theater, pool, security, conference room, mini market, etc. Stunning 2 bedroom corner with 40 ft long private terrace. Top of the line appliances with marble floors throughout. Electrically operated solar shades in all rooms. Floor to ceiling hi impact sliding glass doors and windows in all rooms. Immaculate move-in condition. Unobstructed views .Harbour House with newly remodeled hallways &, lobby. Incredible gym, Convenience store, party rooms, This place has it all. Incredible pool with cabanas, lounge and health spa on premises. You won't be disappointed! LUXURY LIVING AT ITS FINEST ATHE HARBOUR HOUSE. OCEANFRONT BLDG HEATED POOL SPA, FITNESS CENTER CAFE/ MARKETVALET 24 HOUR SECURITY THIS 1 BEDROOM HAS CHERRY WOOD FLOORS GRANITE COUNTER TOPS IN KITCHEN STAINLESS STEEL APPLIANCESWASHE/DRYIER WAKING DISTANCE TO BAL HARBOUR SHOPS5 STAR AMENITIES IN THE BLDG.RIGHT ON THE BEACH UNFURNISHED APT ,MOVE IN AFTER MAY 20, 2019LOWEST PRICED 1 BEDROOM FO RRENT IN THE BLDG. Harbor House 1BR/1.5BA luxury condo with amazing ocean views. In the middle of it all! Bal Harbour Shops, restaurants and nightlife. Very spacious updated unit with beautiful modern furniture. Amenities include oceanfront resort style pool, fitness center, spa w/massage, steam/sauna, aerobics/Pilates, 24 hour concierge, valet & security. Party room with billiards, bar and TV. Market Caf, Theater Room and jogging path. This one has it all! Great unit, Great building!! Resort style living in Bal Harbours premiere location situated on the 11th floor at the newly renovated Harbour House. One bedroom, one and one half bathroom. Beautiful bay views, freshly painted and a new washing machine and dryer. Fully furnished with brand new furniture, bedding, towels and silverware. Full service building, security, valet, BBQ on the weekends by the pool, Friday night in house movies and adjacent to the Ritz Carlton hotel/residences and walking distance to the St. Regis hotel. Beautiful pool and beach with attendants, chaise and umbrellas. One year minimum rent with option to renew. Also included with unit is a Cafe E credit to use in the cafe and free basic cable. Available immediate. Wonderful and spacious UNFURNISHED, 1Bed 1-1/2Bath, right on the beach & walking distance to Bal Harbour Shops, with European kitchen, Miele appliances, SUBZERO fridge, washer & dryer inside, spacious walking closet, 5 star amenities and life style, Beach attended, great GYM/Spa services, large swimming pool, Jacuzzi, Gourmet Cafeteria, Front desk, Valet and 24 hrs security, rent Includes High speed Internet, Basic digital cable, AC electricity, 1 assigned parking by appointment only. South east ocean view 1 bedroom / 1.5 bathroom unfurnished with new appliances/Italian cabinetry/ granite counter tops; floor to ceiling windows; balcony accessible from the bedroom and from the living room; enjoy resort style amenities on exclusive Bal Harbour Beach: spa/gym/fresh food market and caf serving poolside, the beach and in room; chaise and umbrella beach service; club room; 24 hr concierge/security /valet. Walking distance to renowned Bal Harbour Shops/ galleries/cafs/ restaurants and houses of Worship; minutes toto South Beach. Beautiful 1 bedroom / 1.5 bathroom property is located in luxuries Bal Harbour with amazing views of the bay.European cabinetry with granite counter tops, top of the line appliances & open balcony. Condo features fitness center and health spa, pool, home theater, onsite cafe/market, 24 hour security and concierge, and valet parking. Oceanfront living in Bal Harbours best locationThe best deal at the newly renovated HarbourHouse.High floor 1 bedroom 1 1 1/2 bath..great view.Freshly painted,new dishwasher and stove....ready to move into.Full service bldg and security,valet, adjacent to Ritz Carlto hotel/residences and walking to St.Regis. Hotel. Beautiful pool and beach with attendants, chaise and umbrellas.One year minimum rent with option to renew. Resort style living never have to leave home. Available August 1st,2018. Ocean view, chic designer furnished newly renovated 2/2 SE corner unit: new flooring, new bathrooms, new kitchen cabinets, new washer/dryer; enjoy 5* resort amenities including pool and beach service; concierge and 24 hr front desk and valet ; fresh food caf and market serving pool, beach and in room; gym ; spa with treatment rooms/steam and sauna; lounge with tv, kitchen facility , pool tables; private theatre, business center; courtesy bus ; walking distance to Bal Harbour Shops, cafes, gourmet dining, galleries, houses of Worship. Live large at this amazing Resort Condo lifestyle, this 2bed/2baths&1/2 is the largest floor plan, corner unit, with amazing views from all rooms, high impact panoramic windows, Italian Kitchen cabinetry Miele appliances, SUB ZERO fridge, customized walking closet and double sink master bath. Sitting at the Bal Harbour Beach sands, the building has 5 stars amenities and was just totally renovated, front desk, security 24 hrs, beach attended, gourmet cafeteria w/ deliver, best GYM equipped, large swimming pool, full SPA, steam and dry sauna, great screening room, valet, high end services waiting for you and walks on the sand. Beautiful updated furnished condo at the exclusive ocean front Harbour House in Bal Harbour. Stunning ocean and bay views from this spacious open floor plan. The second bedroom has an open concept with sliding doors which can be used as an extension of the living room. Expansive balcony allows for great outdoor living. Condo boasts porcelain tiles throughout, brand new Modani furniture, Armadi closets and sliding doors, top of the line kitchen with granite countertops and Kitchen Aid appliances. Harbour House offers 24/7 concierge and lobby attendant, security, heated pool, fitness center & spa and mini market/convenience store. Super location adjacent to the Ritz Carlton and walking distance to the Bal Harbour Shops. This is the best furnished two bedroom available in the building! Turn Key ready unit directly on the ocean. With spectacular garden view and lots of palm trees. This unit features everything your heart desires. Washer/dryer, custom closets, impact windows and door. Guest room has a Murphy bed which can double as an office. The unit has lots of custom built- ins and european designed kitchen with granite counter. This luxury oceanfront building provides valet, media room, pool/jacuzzi, market/cafe, fitness center with spa, club room, beach service with parasols, and concierge services. Across from Bal Harbour Shops and international restaurants. Minutes from house of worship and parks. This is your dream home on the beach. FABULOUS TURNKEY 2/2 AT THE HARBOUR HOUSE IN EXCLUSIVE BAL HARBOUR! ALMOST 1200 SQ FT WITH TONS OF UPGRADES, INCLUDING DARK WOOD FLOORS, CROWN MOLDING & CUSTOM CLOSETS. HIGH END MODERN FURNISHINGS COMPLETE WITH BEAUTIFUL OCEAN & POOL VIEWS! Spectacular 2 bedroom 2 baths beach front apartment in renovated Harbour House, a resort-style amenities building: valet parking, 24-hour concierge, theater room, poolside restaurant, spa, cabanas, beach service, pool, hot tub and more. The apt is in mint condition, fully furnished. It has washer and dryer in the unit. Just blocks away from famous Bal Harbour shops. CALL LA.